Enrico Bertini is Assistant Professor at the NYU Tandon School of Engineering in the Department of Computer Science and Engineering. 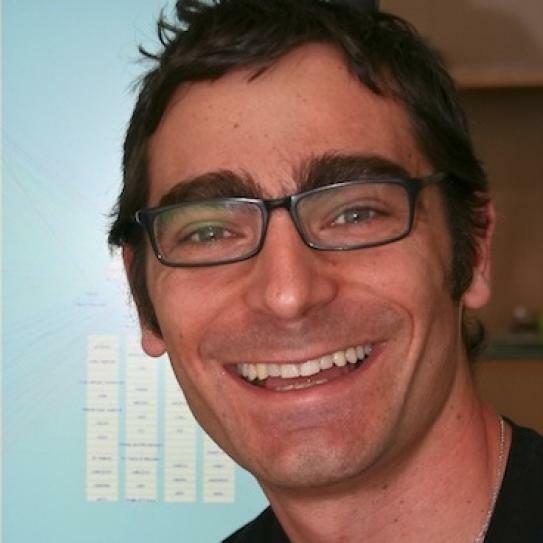 His research focuses on the study of effective data visualization methods and techniques to explore and make sense of large and often high-dimensional data. He also studies how to communicate complex ideas effectively through visual data presentation. His research has been applied to several application domains including: biochemistry, cybersecurity, development, healthcare, climate science, human rights. Professor Bertini earned his Ph.D. degree in Computer Engineering at Sapienza University of Rome in Italy. Before joining NYU he was a Research Scientists at the University of Fribourg, Switzerland and the University of Konstanz, Germany. He is part of the organizing and program committee of the IEEE VIS conference, the premier conference in the field, and he is one of the founders of the BELIV workshop series on evaluation methods in visualization. He is also the editor of fellinlovewithdata.com and datastori.es, respectively a popular blog and podcast on visualization and data analysis.